104 Montauk Point Pl. Cary, NC 27513 Phone: 336-294-2346 Mobile: 919-302-1477 Fax: 800-717-5216 Email: davew@cmh-inc.com I have many hobbies, most of which keep me physically active and out of doors. I box, lift weights, garden, cook, keep up with technical military books, play with my dog (I love terriers), ride bikes, and sail. My daughter is now in college, leaving me with plenty of time to pursue my hobbies and focus on my work. I follow football games, especially Duke’s and my state’s football teams. I keep track of their successes and enjoy watching them faceoff against the opponents. I love the mountains out west and worked on a ranch in Wyoming in my 20s. I also lived in Colorado and Montana in my 20s and have very pleasant memories of my experiences amid the mountains that cut the continent in half. 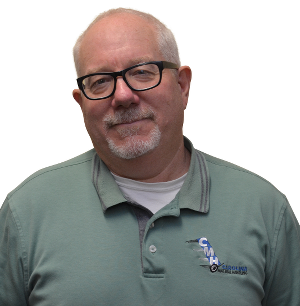 I am from Cary, NC and have been in the materials handling business for more than seven years now. I invest a lot of effort to build my relationships with my customers. My goal is to become the vendor of the year for each of my customers. I want all of them to look on me as another employee, not just a vendor. I always do what is right for my customers. I put my customers first and aim to ensure that their materials handling needs are met using the best and most appropriate products. 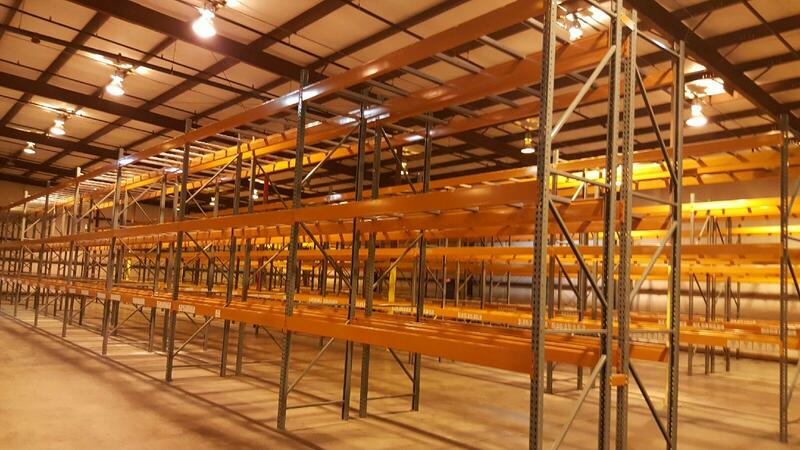 I specialize in project management, pallet rack design, and sales and installation of all material handling products. My varied hobbies as well as extensive interests in outdoor activities have honed my competitive skills. I love the challenge of meeting the needs of the customers using innovation and out of the box thinking. When managing projects, I work to ensure that complete solutions are delivered on time, every time. I take care of all aspects of the project, from designing the solution to making sure the installation goes down as smoothly as possible. 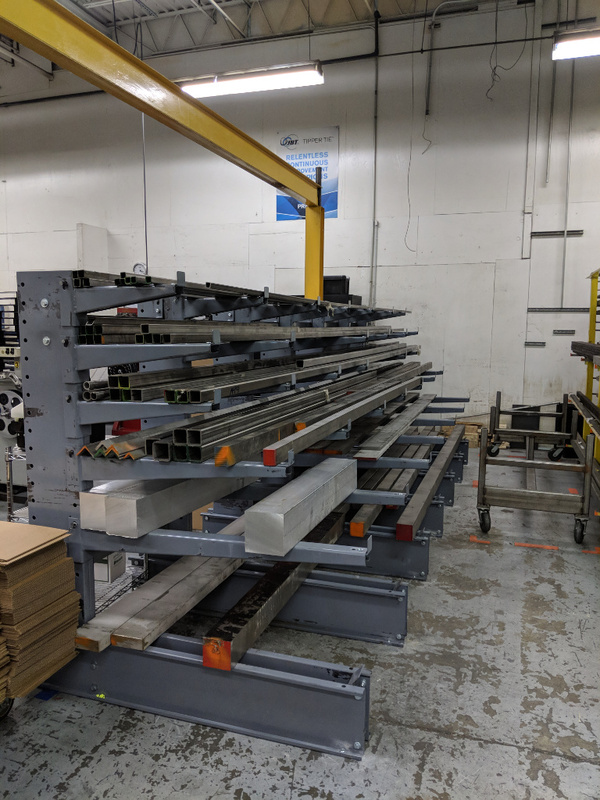 Customer required a custom cantilever rack system to help get heavy sections of bar stock off the floor and also needed to organize the smaller square tube and bar stock into a more easily accessible configuration. The system needed to be relatively short to allow for the drop on the hoist from the overhead bridge crane and still provide enough lift off space. This was accomplished by using a custom height column and using staggered length straight arms with lips. CMH provided initial on site consultation and installed the system during a production lull in about 6 hrs. A further modification to add sections of conveyor on the base leg is in the works which will allow for the heaviest sections to be more easily maneuvered for lifting by the crane. 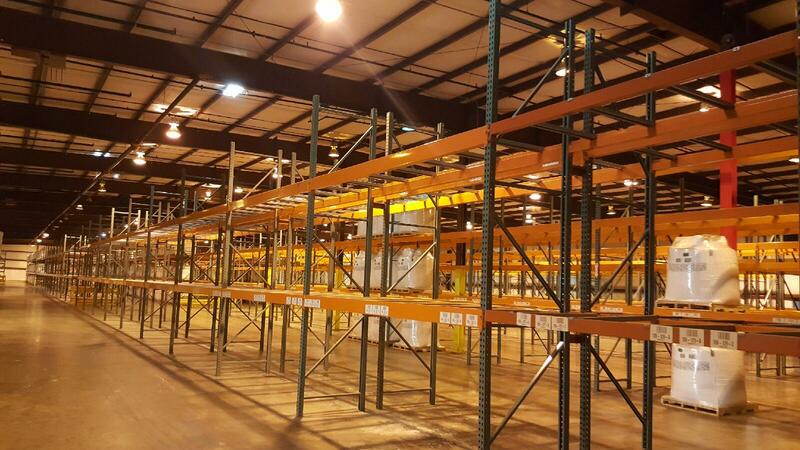 A facility in Maxton, NC needed heavy duty storage for large bulk bags of powder. 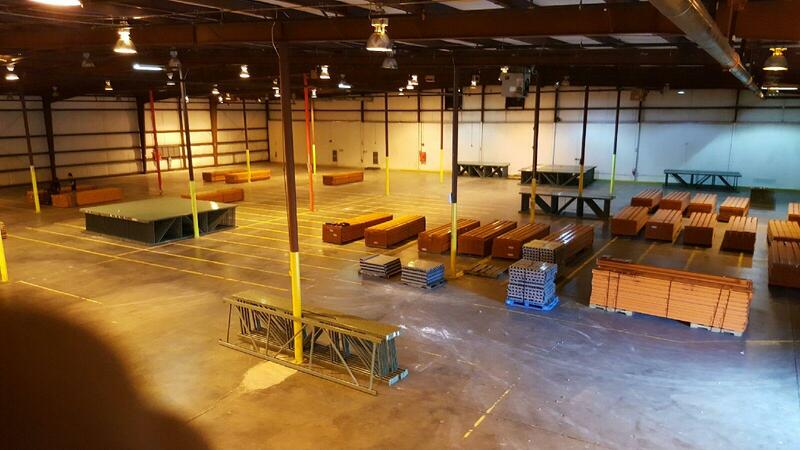 We used Interlake Mecalux roll form beams with a capacity of 9,765 lbs. 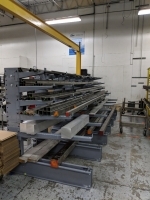 Two crossbars are on each level to support the load at each level.